Kyleena IUD is a different kind of birth control option. 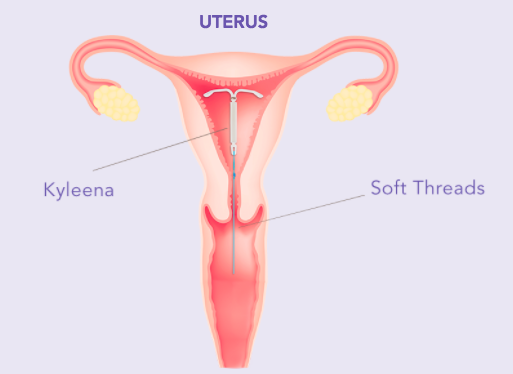 Kyleena is a hormone-releasing IUD (intrauterine device) that prevents pregnancy for up to 5 years. 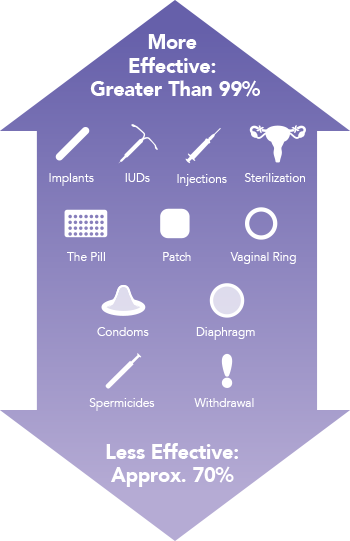 After your healthcare provider places the Kyleena IUD, you should make sure that it is in place with a monthly thread check. 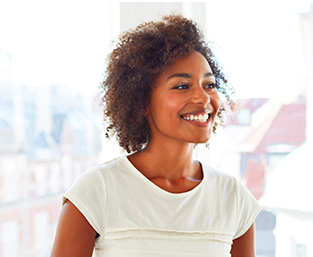 Within 4 to 6 weeks of placement, you should return for a follow-up visit to check that your Kyleena IUD is placed properly. 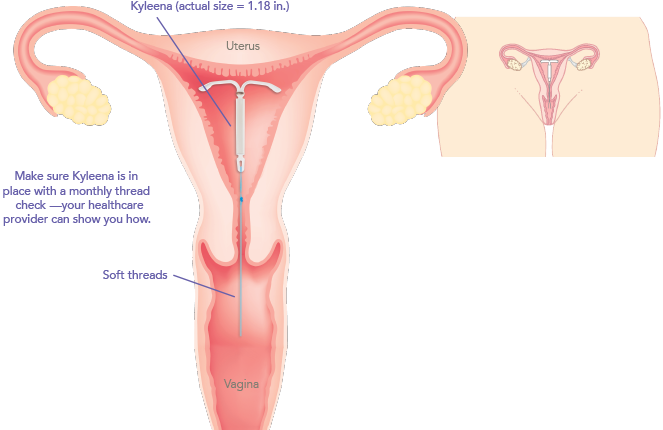 What is the Kyleena IUD? 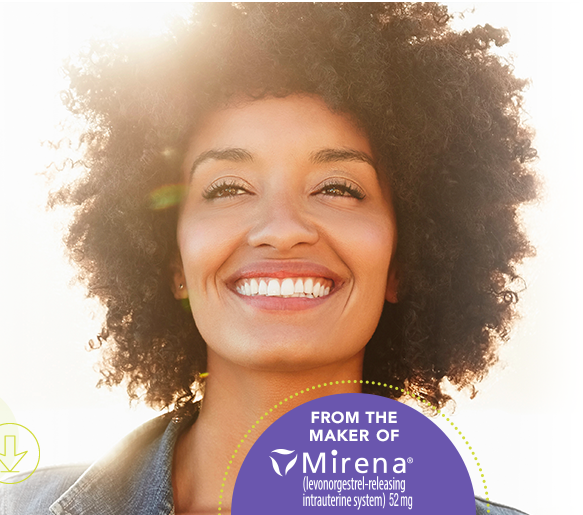 KYLEENA™ IUD IS A DIFFERENT KIND OF BIRTH CONTROL OPTION. YOU DON’T HAVE TO REMEMBER TO TAKE IT EVERY DAY. 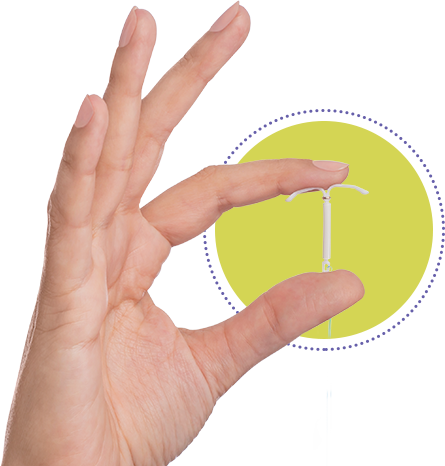 Kyleena IUD is a hormone-releasing IUD that prevents pregnancy for up to 5 years. You should make sure Kyleena is in place with a monthly thread check. Your healthcare provider can show you how. 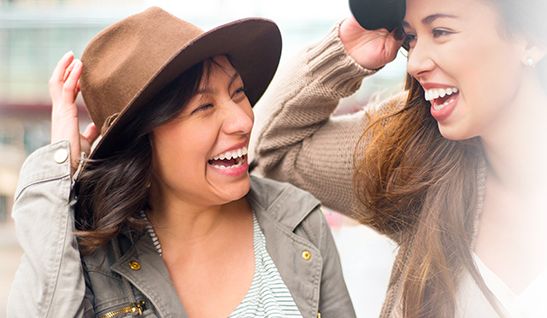 Everyone is different, and some women may experience discomfort, dizziness, or spotting during and after placement. These symptoms should go away shortly. If they don’t, contact your healthcare provider. 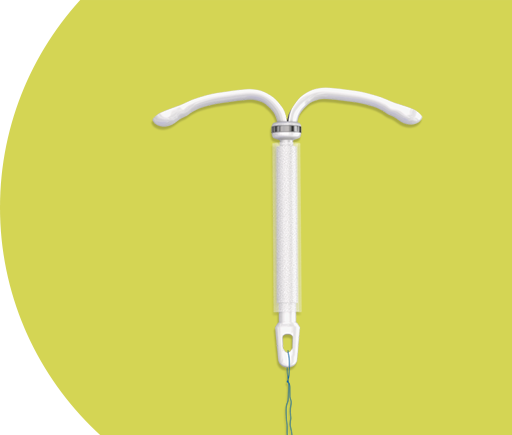 Kyleena IUD is one of the most effective methods of birth control. It’s over 99% effective at preventing pregnancy for each year of use, and 98.6% effective over 5 years. If you experience any of these side effects or want more information, talk to your healthcare provider.